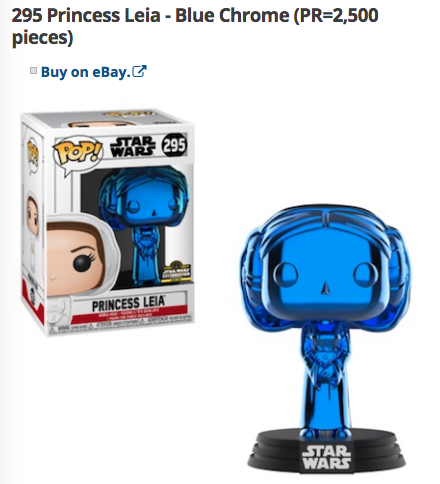 2019 Funko PoP PEZ Exclusives. 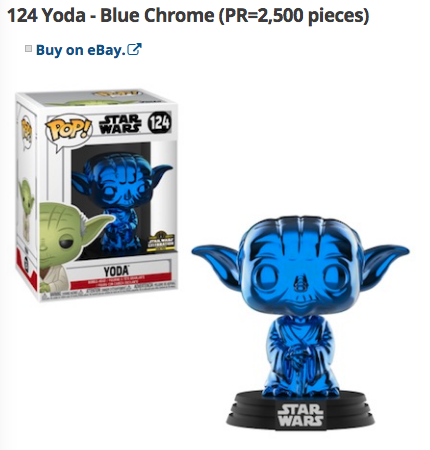 FYI don’t try to click the “Buy on Ebay” as these are just photos from the internet and do not contain links! 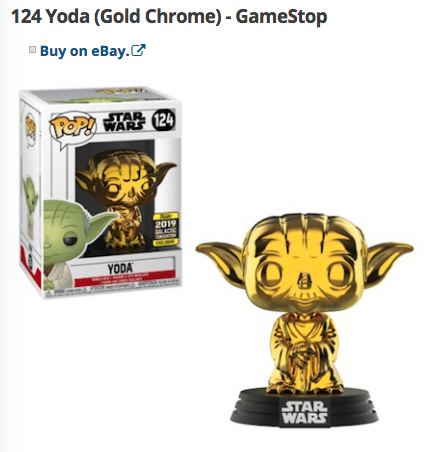 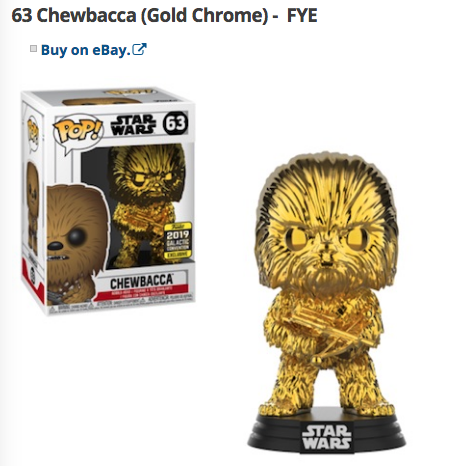 From the looks of things #63 Chewbacca, #124 Yoda, and #157 Darth Vader are just new variants of the original Funko PoPs! 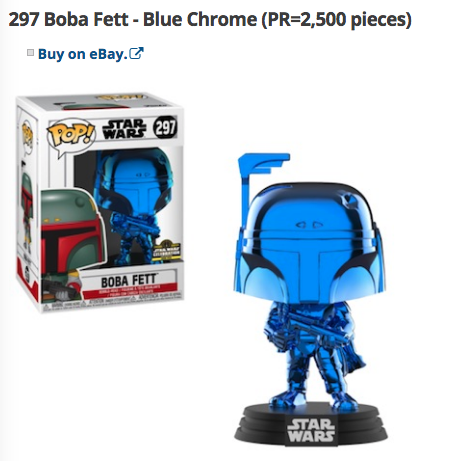 posted in the current style box that figures are being released in. 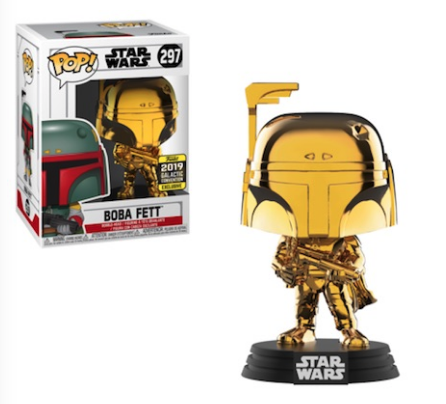 Good news is #295 Princess Leia, #296 Stormtrooper, and #297 Boba Fett are new to the line as these Funko PoPs! 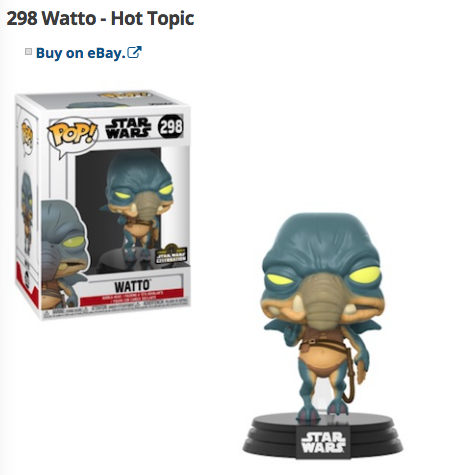 figures are in new poses. 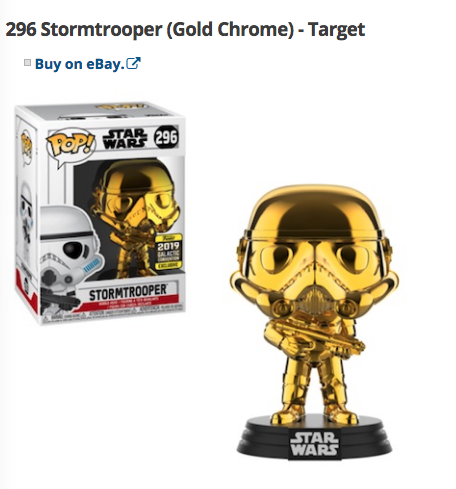 They are similar to their past editions in looks however hand placement or gun positions are different. 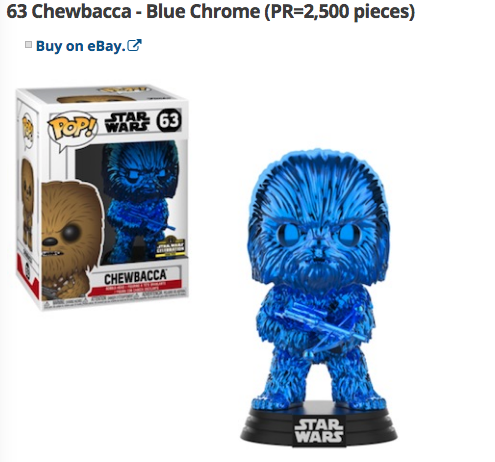 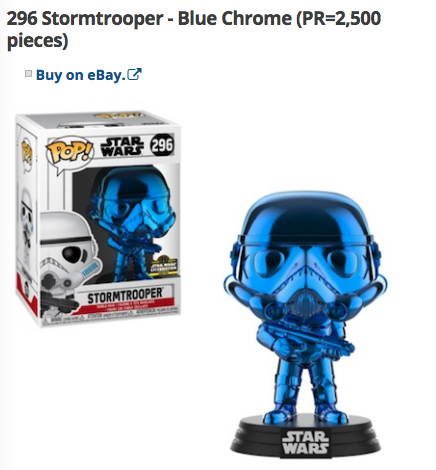 Blue Chrome figures will be limited to 2,500 pieces and will only be sold at Star Wars Celebration. 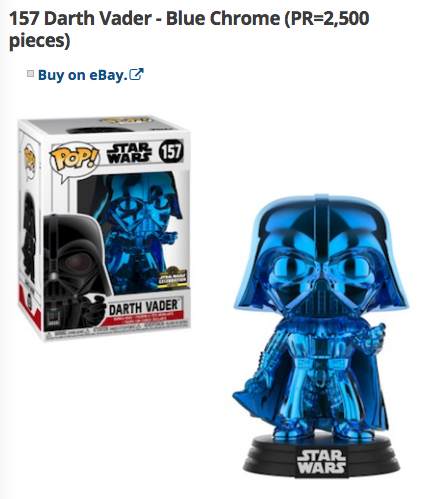 Rumors are out there that if any pieces are left unsold at the Convention they will be listed on the Funko site. 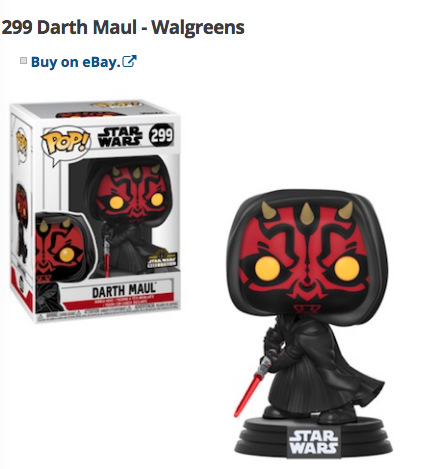 I can not confirm or deny this rumor. 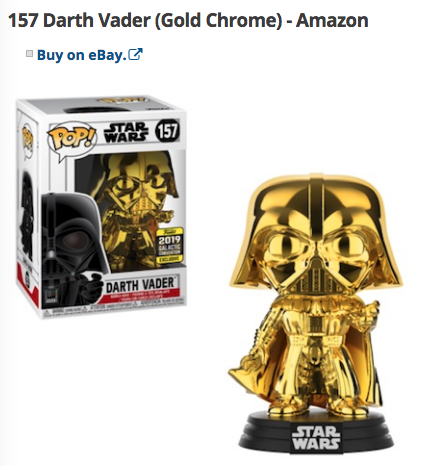 Gold Chrome figures will be sold at you box stores as listed below. 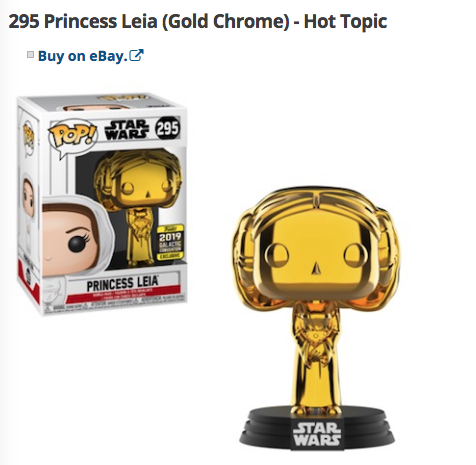 Finally, if you are into them there are the Funko PoP! 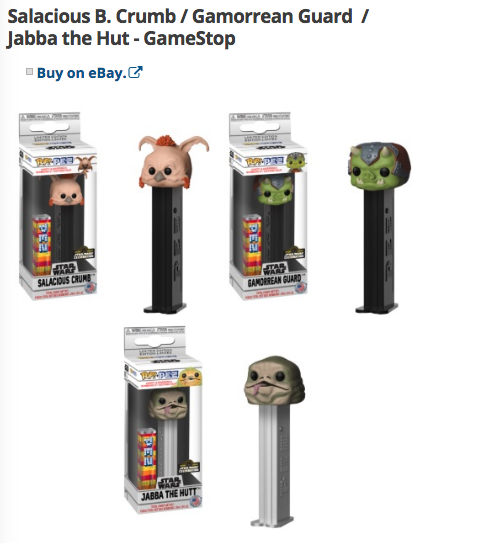 PEZ Exclusives that will be available at GameStop.